Thorough, Gentle, Chiropractic Care with a Woman's Touch. Peter J Cichonski, D.C., is a chiropractor located in Riverside, CA. Take the next step and contact Dr. Peter J Cichonski, D.C., for a consultation in Riverside, CA or to get more information. Callis F Herbert, D.C., is a chiropractor located in Riverside, CA. Techniques: • Gonstead Take the next step and contact Dr. Callis F Herbert, D.C., for a consultation in Riverside, CA or to get more information. Lee F Kinsbursky, D.C., is a chiropractor located in Riverside, CA. Techniques: • Diversified • Gonstead • Activator Methods Take the next step and contact Dr. Lee F Kinsbursky, D.C., for a consultation in Riverside, CA or to get more information. David G Sepulveda, D.C., is a chiropractor located in Riverside, CA. Take the next step and contact Dr. David G Sepulveda, D.C., for a consultation in Riverside, CA or to get more information. Gary Spunt, D.C., is a chiropractor located in Riverside, CA. Techniques: • Diversified Take the next step and contact Dr. Gary Spunt, D.C., for a consultation in Riverside, CA or to get more information. Ted W Pena, D.C., is a chiropractor located in Riverside, CA. Take the next step and contact Dr. Ted W Pena, D.C., for a consultation in Riverside, CA or to get more information. Alex Bidarian, D.C., is a chiropractor located in Riverside, CA. Take the next step and contact Dr. Alex Bidarian, D.C., for a consultation in Riverside, CA or to get more information. Kenneth P Smith, D.C., is a chiropractor located in Riverside, CA. Take the next step and contact Dr. Kenneth P Smith, D.C., for a consultation in Riverside, CA or to get more information. Shamus S Sheridan, D.C., is a chiropractor located in Riverside, CA. Techniques: • Palmer Package Take the next step and contact Dr. Shamus S Sheridan, D.C., for a consultation in Riverside, CA or to get more information. P D Mendenhall, D.C., is a chiropractor located in Riverside, CA. Techniques: • Palmer Package Take the next step and contact Dr. P D Mendenhall, D.C., for a consultation in Riverside, CA or to get more information. Sylvie Mohrdar, D.C., is a chiropractor located in Riverside, CA. Techniques: • Diversified • Applied Kinesiology Take the next step and contact Dr. Sylvie Mohrdar, D.C., for a consultation in Riverside, CA or to get more information. Andrew W Zirzow, D.C., is a chiropractor located in Riverside, CA. Take the next step and contact Dr. Andrew W Zirzow, D.C., for a consultation in Riverside, CA or to get more information. Paul W Wanlass, D.C., is a chiropractor located in Riverside, CA. Techniques: • Cox • Trigger Point Therapy • Diversified • Myofascial • Flexion-Distraction • Nimmo Take the next step and contact Dr. Paul W Wanlass, D.C., for a consultation in Riverside, CA or to get more information. Eric M Custode, D.C., is a chiropractor located in Riverside, CA. Take the next step and contact Dr. Eric M Custode, D.C., for a consultation in Riverside, CA or to get more information. Gary Weessies, D.C., is a chiropractor located in Riverside, CA. Take the next step and contact Dr. Gary Weessies, D.C., for a consultation in Riverside, CA or to get more information. Elyas Khury, D.C., is a chiropractor located in Riverside, CA. Take the next step and contact Dr. Elyas Khury, D.C., for a consultation in Riverside, CA or to get more information. David G Madison, D.C., is a chiropractor located in Riverside, CA. Techniques: • Cox • Diversified • Applied Kinesiology Take the next step and contact Dr. David G Madison, D.C., for a consultation in Riverside, CA or to get more information. Felicitas (Felice) E.S. Merced Dr., D.C.
Brad E. Kitchens, D.C., is a chiropractor located in Riverside, CA. Techniques: • Diversified • Flexion-Distraction • Motion Analysis (Palpation) • Nimmo • Sacro Occipital Technique Take the next step and contact Dr. Brad E. Kitchens, D.C., for a consultation in Riverside, CA or to get more information. Alex Bidirian, D.C., is a chiropractor located in Riverside, CA. Take the next step and contact Dr. Alex Bidirian, D.C., for a consultation in Riverside, CA or to get more information. 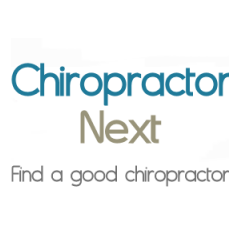 Mark Prather, D.C., is a chiropractor located in Riverside, CA. Techniques: • Chiropractic Biophysics • Diversified • Biomechanics • Palmer Package • Activator Methods • Thompson Take the next step and contact Dr. Mark Prather, D.C., for a consultation in Riverside, CA or to get more information. Dennis Portenier, D.C., is a chiropractor located in Riverside, CA. Techniques: • Palmer Package • Gonstead Take the next step and contact Dr. Dennis Portenier, D.C., for a consultation in Riverside, CA or to get more information. Arash Mohrdar, D.C., is a chiropractor located in Riverside, CA. Take the next step and contact Dr. Arash Mohrdar, D.C., for a consultation in Riverside, CA or to get more information. Kenneth G Holt, D.C., is a chiropractor located in Riverside, CA. Take the next step and contact Dr. Kenneth G Holt, D.C., for a consultation in Riverside, CA or to get more information. Steven K Miranda, D.C., is a chiropractor located in Riverside, CA. Take the next step and contact Dr. Steven K Miranda, D.C., for a consultation in Riverside, CA or to get more information. Steven K. Miranda D.C., D.C.
D A Nusser, D.C., is a chiropractor located in Riverside, CA. Techniques: • Diversified Take the next step and contact Dr. D A Nusser, D.C., for a consultation in Riverside, CA or to get more information. Mohammed M Rakab, D.C., is a chiropractor located in Riverside, CA. Take the next step and contact Dr. Mohammed M Rakab, D.C., for a consultation in Riverside, CA or to get more information. C Michael Parillo, D.C., is a chiropractor located in Riverside, CA. Take the next step and contact Dr. C Michael Parillo, D.C., for a consultation in Riverside, CA or to get more information. M Lynn Scecina, D.C., is a chiropractor located in Riverside, CA. Techniques: • Activator Methods • Total Body Modification • Diversified • Leander Take the next step and contact Dr. M Lynn Scecina, D.C., for a consultation in Riverside, CA or to get more information. Joseph N Dunkley, D.C., is a chiropractor located in Riverside, CA. Techniques: • Diversified • Cox • Thompson Take the next step and contact Dr. Joseph N Dunkley, D.C., for a consultation in Riverside, CA or to get more information. Michael Rodriguez, D.C., is a chiropractor located in Riverside, CA. Techniques: • Diversified • Cox • Sacro Occipital Technique Take the next step and contact Dr. Michael Rodriguez, D.C., for a consultation in Riverside, CA or to get more information. Curtis Montgomery, D.C., is a chiropractor located in Riverside, CA. Take the next step and contact Dr. Curtis Montgomery, D.C., for a consultation in Riverside, CA or to get more information. Eric Matsuda, D.C., is a chiropractor located in Riverside, CA. Take the next step and contact Dr. Eric Matsuda, D.C., for a consultation in Riverside, CA or to get more information. William R Lansford, D.C., is a chiropractor located in Riverside, CA. Techniques: • Diversified • Neural Organization Technique • Manual Adjusting • Trigger Point Therapy Take the next step and contact Dr. William R Lansford, D.C., for a consultation in Riverside, CA or to get more information. Bryan Buescher, D.C., is a chiropractor located in Riverside, CA. Techniques: • Activator Methods • Diversified • Flexion-Distraction Take the next step and contact Dr. Bryan Buescher, D.C., for a consultation in Riverside, CA or to get more information. Dorothy Heckman, D.C., is a chiropractor located in Riverside, CA. Techniques: • Diversified Take the next step and contact Dr. Dorothy Heckman, D.C., for a consultation in Riverside, CA or to get more information. Dawn Fletcher, D.C., is a chiropractor located in Riverside, CA. Techniques: • Diversified • Cox Take the next step and contact Dr. Dawn Fletcher, D.C., for a consultation in Riverside, CA or to get more information. Robert Gavito, D.C., is a chiropractor located in Riverside, CA. Take the next step and contact Dr. Robert Gavito, D.C., for a consultation in Riverside, CA or to get more information. Gregory D Burch, D.C., is a chiropractor located in Riverside, CA. Take the next step and contact Dr. Gregory D Burch, D.C., for a consultation in Riverside, CA or to get more information. Ron Herbert, D.C., is a chiropractor located in Riverside, CA. Techniques: • Gonstead Take the next step and contact Dr. Ron Herbert, D.C., for a consultation in Riverside, CA or to get more information. Colette L Arnsdorf, D.C., is a chiropractor located in Riverside, CA. Take the next step and contact Dr. Colette L Arnsdorf, D.C., for a consultation in Riverside, CA or to get more information. T Devern Mendenhall, D.C., is a chiropractor located in Riverside, CA. Take the next step and contact Dr. T Devern Mendenhall, D.C., for a consultation in Riverside, CA or to get more information. John Tanner, D.C., is a chiropractor located in Riverside, CA. Take the next step and contact Dr. John Tanner, D.C., for a consultation in Riverside, CA or to get more information. Meral Elgendy, D.C., is a chiropractor located in Riverside, CA. Take the next step and contact Dr. Meral Elgendy, D.C., for a consultation in Riverside, CA or to get more information. Arman Ghods, D.C., is a chiropractor located in Riverside, CA. Take the next step and contact Dr. Arman Ghods, D.C., for a consultation in Riverside, CA or to get more information. Louis G Lingren, D.C., is a chiropractor located in Riverside, CA. Take the next step and contact Dr. Louis G Lingren, D.C., for a consultation in Riverside, CA or to get more information.